Hello, My Brothers of the Hungarian clergy and of the Croatian clergy! And so, at first, I ask anyone to let me have a report on his/her followed out land, if you had issues or matters to discuss and difficulties to solve. Let me introduce myself, I'm Renegade, Almásy, Archbishop of Esztergom. I'm very glad you are here and help us. I hope our mutual work will be prosperous. I'll be proud to cooperate with you all, my Brother in the faith. Can someone make me a report about the situation of the Hungarian clergy? And also of the Croatian clergy? welcome to are humble quarters. I'm monsignor Vede, Bishop of Pola Diocese. Events Important: No new events. Events Regular: A few sacraments. Since mons. Vede is currently visiting Pola masses are not held in Rijeka. Pola has somewhat irregular masses. Pola Parish priest still Bigreturn09. Rijeka parish is controlled by mons. Vede due to the lack of clergy in Croatia. No news in towns of Rijeka or Pola. Regular activities. Vrbovsko Parish priest is still Annunaki. Thank You both, my Brothers. And so, what are your ideas for a Church reprise into these lands? Your Eminene I will speak for Croatia. We have a lack of clergy currently so that is a big issue. We started catechism and Faith is very well accepted. People accept our church and we are an integral way of life in Croatia. Our Holy texts are fully translated and freely available to the Faithful. However few are willing to get ordained or even start a role of deacon. This is probably because they need to see a more administrative and institutional power of the Church. A strong inquisitional presence in the area, for example, which we currently don't have. We also have a poor ecclesiastic division in Croatia. Pola Diocese is part of Acquiela Archdiocese and it's parishes are split between Venice and Croatia. Krbava diocese is part of Spalato Archidocese which is inactive. 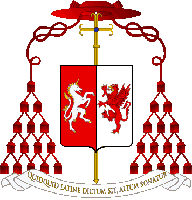 To the end we proposed a new division which is signed and approved;that we form a new Archdiocese with seat in Rijeka and Krbava as a Suffragan Diocese. Proposal was accepted within the Venice Episcopal Assembly as well and now we wait for that to happen. These would make administration and management much easier for Croatia. We are also closely monitoring this conflict between Albania and Serbia. Also please note I updated the status of Krbava diocese. This would be a brief summary, Your Eminence. Thank you for the update Your Excellency. Your Excellency Renegade, I think that for Our Brother, father Iosephus, could be the time to be placed again among our active clergy, but under Your supervision. I hope we can privately debate about such decision; that isn't in the terms of chosing whether or not, but how and where to do. Did you hear my proposal?